Adding and embedding YouTube videos to a presentation is one of the best ways to add a touch of professionalism and flavor to a presentation. It doesn’t need any workaround to make this possible because the PowerPoint 2016 comes with its own tool you can use to do so. 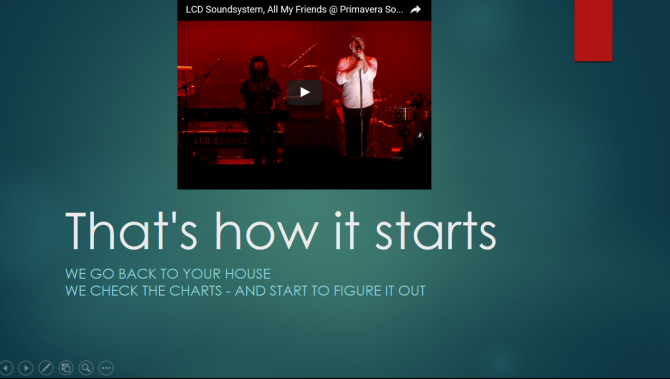 It also has its own search tool which will be use to search for YouTube videos. 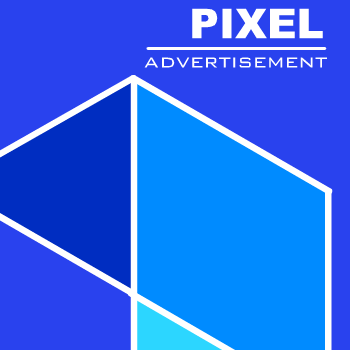 There are many reasons you may want to flavor your Presentation with a video, but the main thing is to get how to do it. Many may not know how to do this and some may not even know it exist. I discovered this PowerPoint 2016 feature while working on it and I thought I should share it with you guys. Here’s how to add a YouTube video to a presentation. Note: Make sure you have an internet connection when presenting in order to make this works. 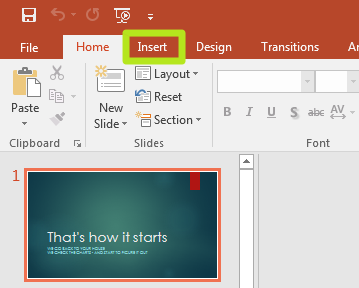 This tutorial only applies to PowerPoint 2016. Then click on “Insert” tab. Enter your search strings into the search box and press enter. 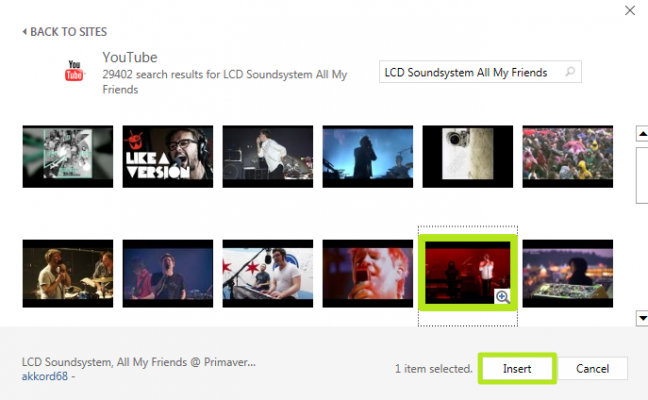 Then select your video and click on Insert. That’s it; you've successfully added a YouTube video to a presentation. 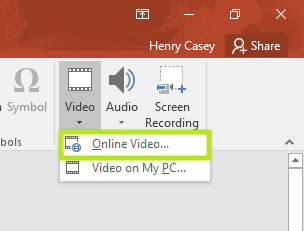 So you can play the video by clicking on it while presenting.